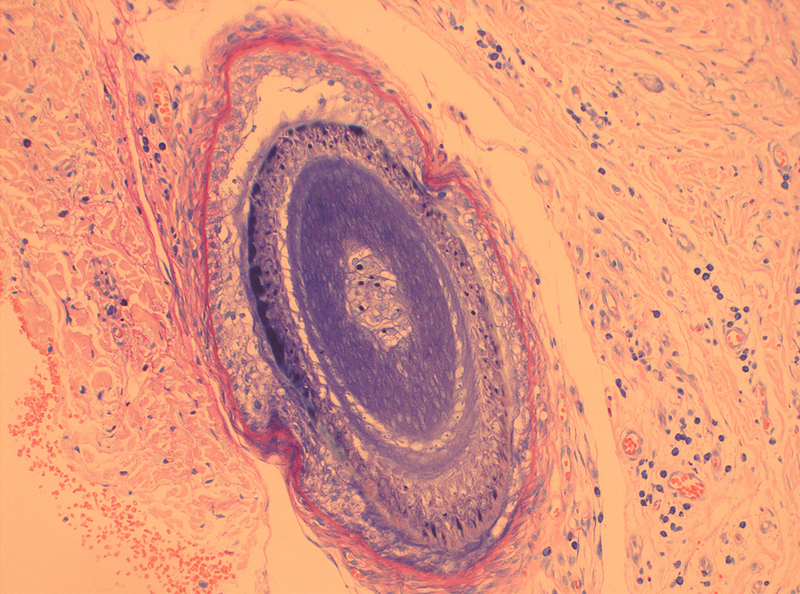 Histology is a science dealing with the structure of cells and their formation into tissues and organs. Histotechnology centers on the detection of tissue abnormalities and the treatment for the diseases causing the abnormalities. Dyes and chemicals are used in histology. It is important to know their composition, how they act and how they react with each other. With this knowledge, combined with an understanding of tissue composition, the histotechnologist treats the tissue with these chemicals and dyes. 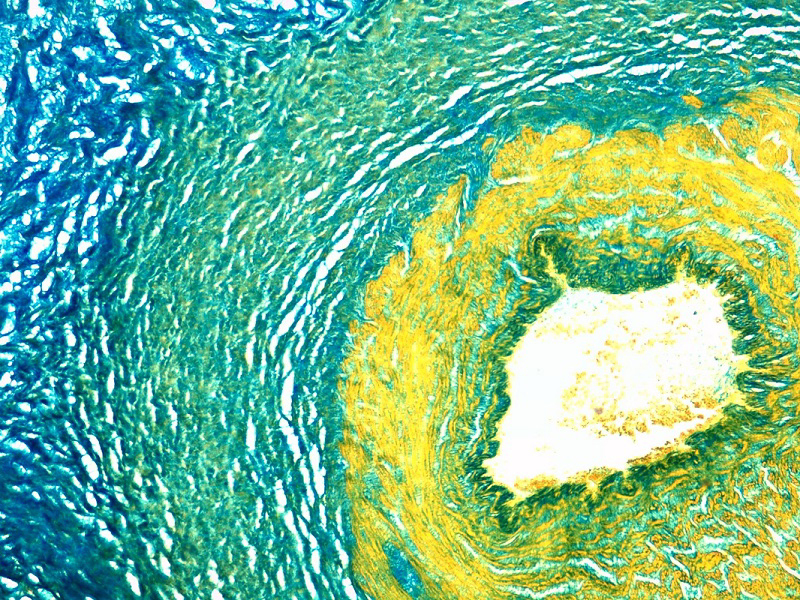 The chemical reactions produce colors, which make it possible to distinguish tissue structures. 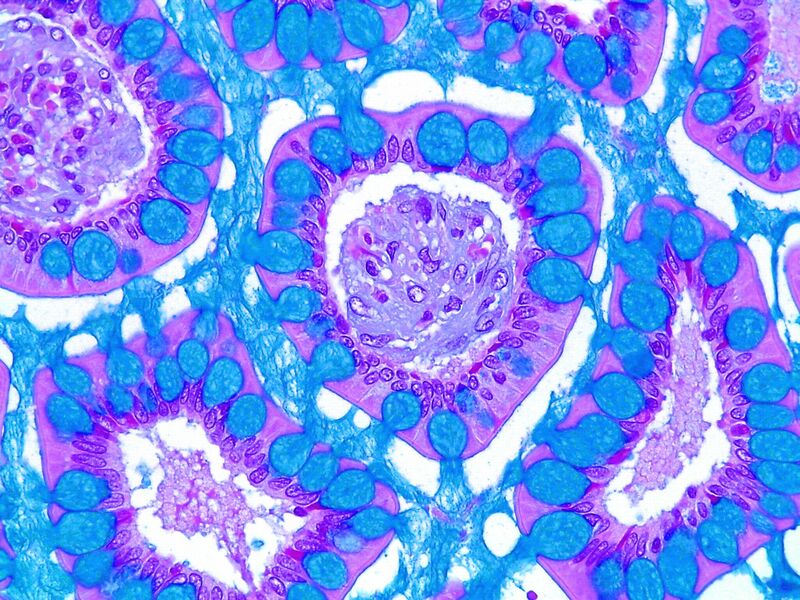 In the modern histology lab immunological and molecular (DNA) techniques are frequently utilized to provide accurate tumor identification which will aid the clinician in selecting a mode of therapy that offers that greatest probability of cure. Learn about the educational requirements to become a histotech in the United States. Tissue specimens taken from routine surgical cases, autopsies, or other scientific investigations are examined, described and trimmed to proper size. This process is referred to as “grossing the specimen”. The resulting specimens are preserved by placing them in solutions designed to prevent decomposition. This is known as fixation. Before the wax permeated tissue can be cut it is placed in a larger wax block for additional holding support during sectioning. Water is removed from the tissue and replaced by melted paraffin wax. The wax infiltrates the tissue and provides the necessary support when cutting the tissue into thin slices which will eventually be examined under a microscope. The tissue is mounted onto a delicate instrument called a microtome. An extremely sharp knife is used to cut sections of the tissue embedded in the wax block. These sections are cut one after another to form a ribbon, which is floated on warm water to soften and flatten tissue sections. These sections are then placed on microscopic slides and stored for future procedures. 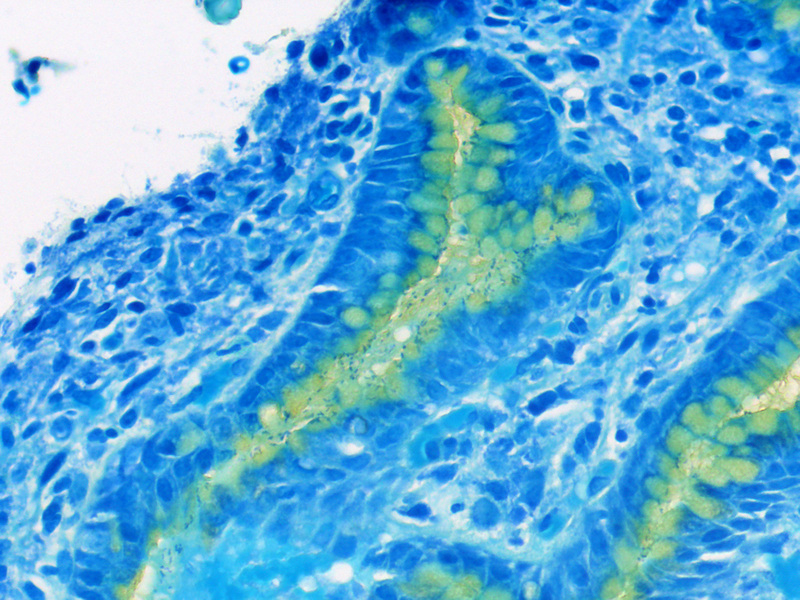 Staining causes tissue components to change colors when brought into contact with different chemicals. In addition to dyes, antibodies are reacted with tissues to identify specific tumor cell lines with a method called Immunohistochemistry. This technique is critical to guiding the patient’s physician in selecting the most effective tumor treatment. DNA probes are also applied to tissue sections to identify the presence of bacterial and viral infections and some tumors. When staining is completed, the tissue section is ready for examination under a microscope by a pathologist or other scientific investigator. 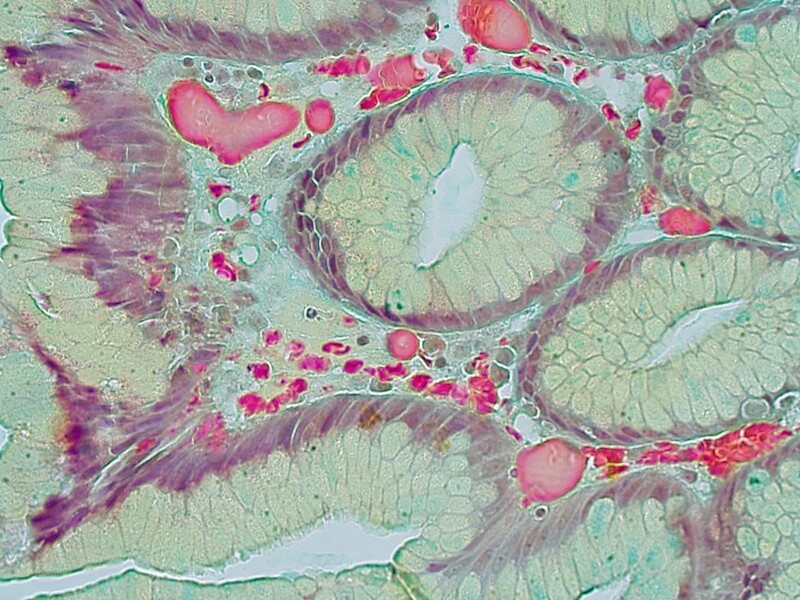 Without specialized staining techniques, many tissue components would remain invisible.